Home » Mental fatigue impairs dual-task gait performance in old adults – A new risk factor for falls in the elderly? Mental fatigue is a psychobiological state induced by sustained periods of demanding cognitive activity. Mental fatigue can negatively impact many aspects of daily life, such as workplace and physical exercise performance. Mental fatigue can manifest itself subjectively, behaviorally and physiologically. The subjective dimension includes increased feelings of tiredness and lack of energy as well as decreased motivation and altered mood. Behaviorally, mental fatigue can result in a decline in performance during cognitive tasks, e.g. decreased accuracy and increased reaction time. Physiologically, mental fatigue is associated with altered brain activity and adjustments within the autonomic nervous system (Boksem et al. 2008; Van Cutsem et al. 2017). There is growing evidence that impaired cognitive functioning is associated with poor gait performance in older people, resulting in an increased risk of falling (Grobe et al. 2017). However, despite mental fatigue being a potential contributor to cognitive impairments, its acute effect on gait performance has not been investigated. In our recent study (Behrens et al. 2018), we assessed psychometric and gait parameters before and after acute mental fatigue in young and old adults. Psychometric parameters included subjective fatigue, arousal, mood, wakefulness, etc. Gait parameters included speed, stride length, stance time, swing time, etc. The fatigue intervention was a 90-minute computerized test (stop-signal task) that required high attention and quick responses. On a separate day, participants completed a control condition, which involved watching a neutral video for 90 minutes. Gait performance was measured during normal walking (i.e., single-task walking) and walking while performing a cognitive task (i.e., dual-task walking).The cognitive task during dual-task walking was mathematical arithmetic. After the 90-minute fatigue intervention, both young and old participants reported increased fatigue and arousal as well as decreased mood and wakefulness. However, the fatigue intervention impaired dual-task gait performance only in the old adults. The coefficient of variation of speed, stride length, and stance time were all increased during dual-task walking in old adults but not young adults. 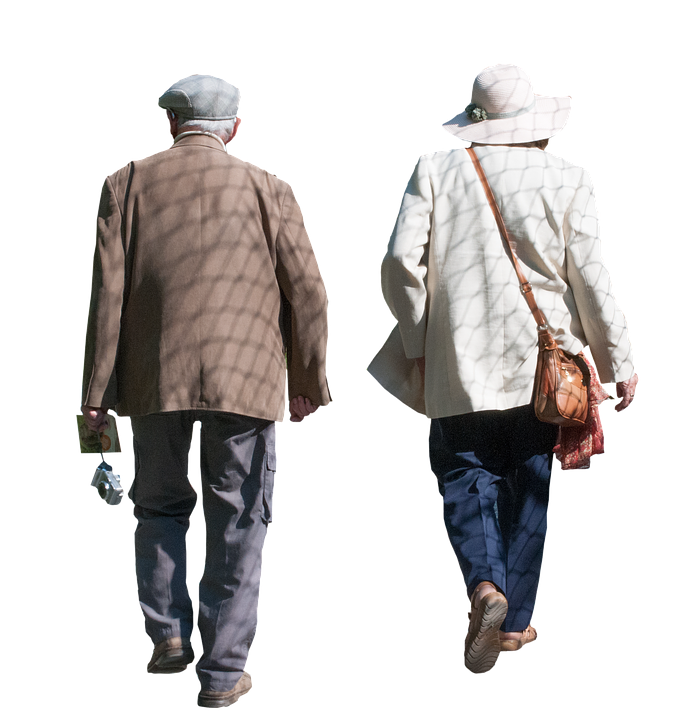 The results from our study show that mental fatigue can impair gait performance during dual-task walking in old adults. An underlying cause of this result may be age-related structural alterations of the brain. For example, prefrontal areas have been identified as a contributor to decreased gait performance under dual-task conditions in older people (Yogev-Seligmann et al. 2008). 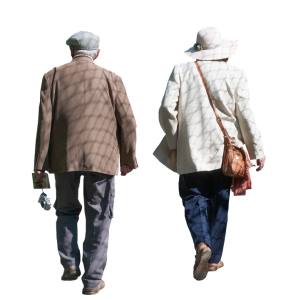 Our results indicate that older adults’ susceptibility to mental fatigue might be a new intrinsic risk factor for falls, as previous studies have shown that dual-task gait performance is predictive for falls in the elderly. Thus, mental fatigue should be measured, and its potential influence on gait parameters considered, when dual-task gait analyses are performed in the laboratory or clinic. Other experiments will be needed to determine the effect of mental fatigue on dual-task gait performance in patients, particularly those with neurologic diseases that have high prevalence and severity of fatigue symptoms. Behrens, M, Mau-Moeller, A, Lischke, A, Katlun, F, Gube, M, Zschorlich, V, Skripitz, R and Weippert, M. Mental fatigue increases gait variability during dual-task walking in old adults. J Gerontol Series A Med Sci 73: 792-797, 2018. Boksem MA, Tops M. Mental fatigue: costs and benefits. Brain Res Rev 59: 125-139, 2008. Grobe S, Kakar RS, Smith ML, Mehta R, Baghurst T, Boolani A. Impact of cognitive fatigue on gait and sway among older adults: a literature review. Prev Med Rep 6: 88-93, 2017. Van Cutsem J, Marcora S, De Pauw K, Bailey S, Meeusen R, Roelands B. The effects of mental fatigue on physical performance: a systematic review. Sports Med 47: 1569-1588, 2017. Yogev-Seligmann G, Hausdorff JM, Giladi N. The role of executive function and attention in gait. Mov Disord 23: 329-342, 2008. 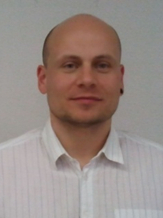 Martin Behrens is a Postdoctoral Fellow at the Institute of Sport Science, University of Rostock. His current research interests are in the mechanisms of fatigue and their role in human performance in health and disease. You can learn more about Martin and his research on ResearchGate and Twitter.